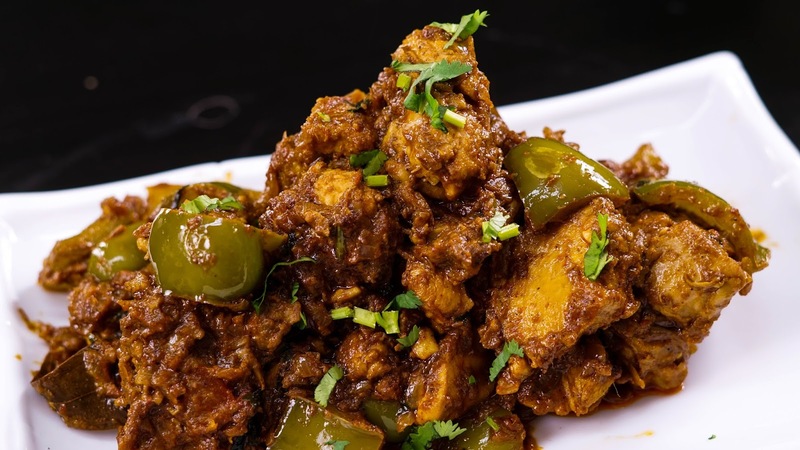 Kadai Chicken is a Delicious and aromatic recipe which is very popular all over the world. I normally buy the ready made kadai masala from the stores and prepare khadai chicken but i felt something is missing in the recipe, yes the fresh aroma of masala was missing so I tried to experiment the ingredients for the kadai masala which is written under ingredients list on the ready made masala pocket (from lot of brands). 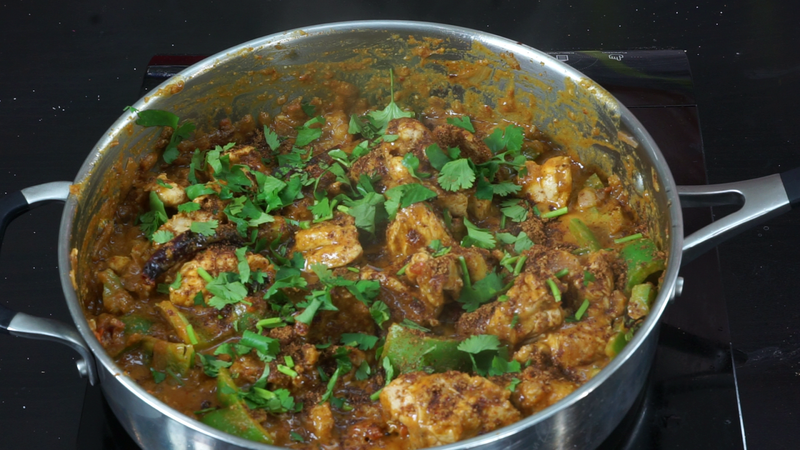 Initially the ratios and quantites was quite challenging so i tried many times and finally i found the perfect ratio for making this delicious kadai chicken masala. The Chicken kadai masala is very easy to make it only requires few ingredients which is always available in our kitchen.The secret in getting the best taste is by adding the kadai masala in two batches, one batch towards the end enhances the flavor and the taste of Chicken.You can follow the same for making Kadai Paneer Masala. Step 2) In a pan heat oil and add the whole spices Bay leaves, Cinnamon stick and red chilies. 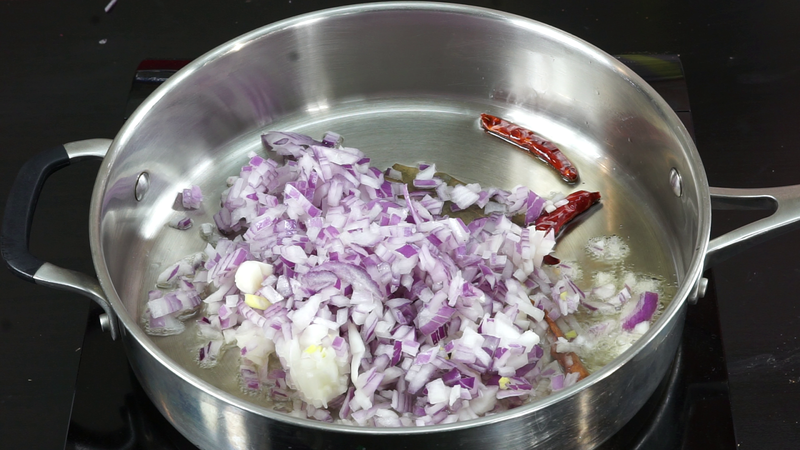 Add finely chopped onions and some salt to speed up the cooking process.Once the onions are golden brown add ginger garlic paste and cook until the raw smell is gone. Then add half of the ground masala , chili powder and turmeric powder and mix well. 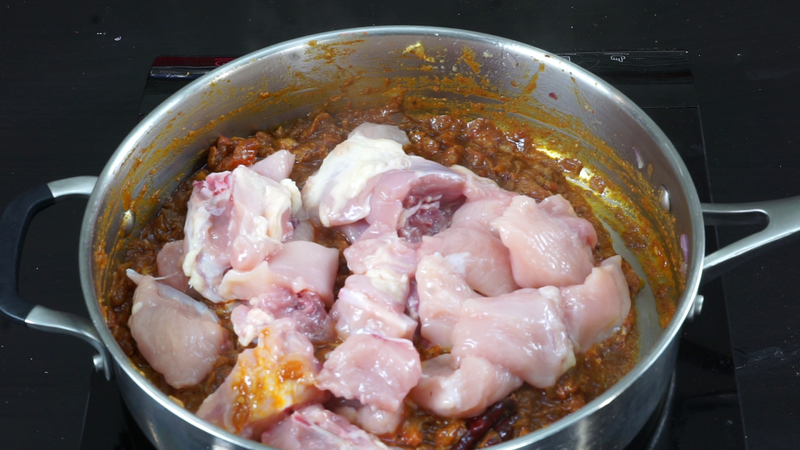 Step 3) After mixing add chopped tomato and also add water to prevent the masala from sticking to the bottom and cook until everything turns into a paste.Add the cleaned chicken pieces and mix well with the masalas. Cover and cook for 10-15 minutes based on the size of your chicken pieces. 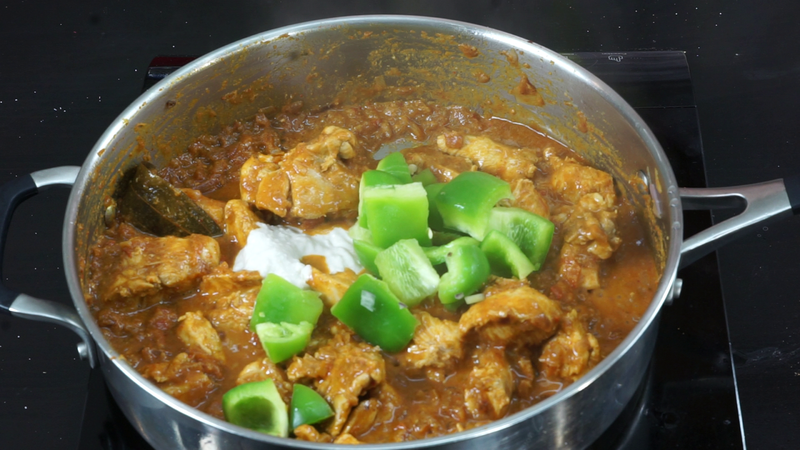 Step 4) once the chicken is done add cashew paste to get a creamy base (soak 10-12 cashews in water for 30 minutes and then grind to a smooth paste).Add cubed bell pepper and cook for few minutes. 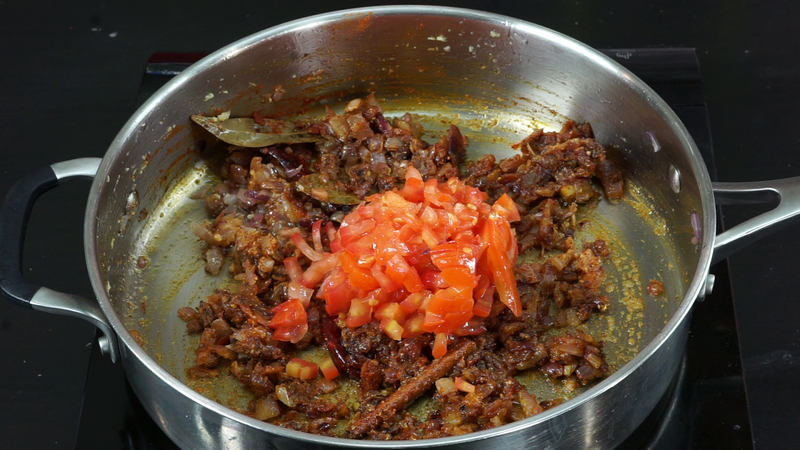 within 2-3 minutes bell peppers will turn soft at that point add the rest of the kadai masala and also sprinkle some fresh coriander leaves on the top and turn off the heat. Our delicous Khadai chciken masala is ready to be served.It goes excellent with nan, chapathi, roti and also goes excellent with rice. 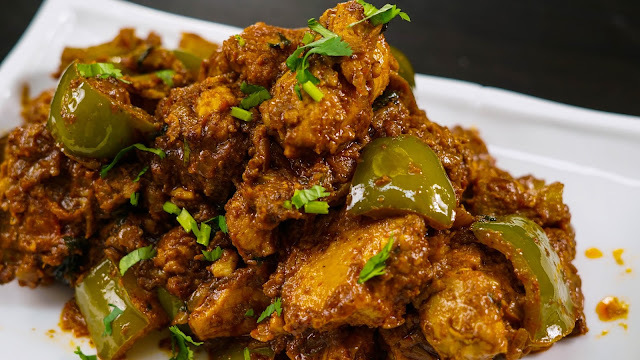 Please do try this Kadai Chicken Restaurant style and post your feedback. 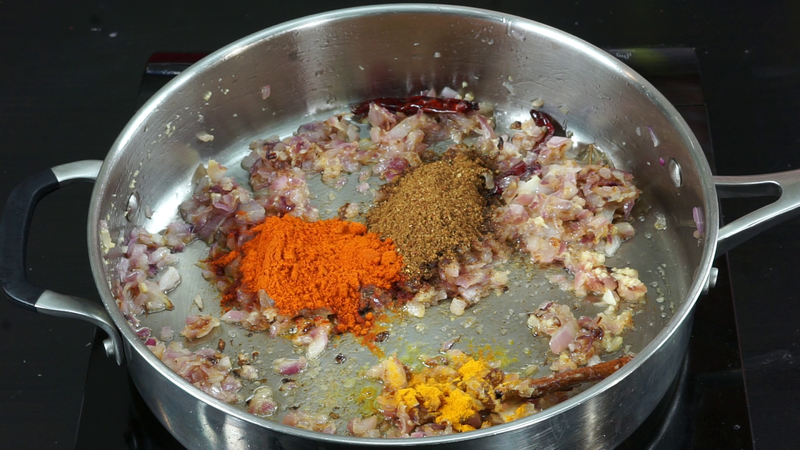 2) First grind the mixture coarsely, separate half of the masala and set that aside.Grind the remaining masala to a fine powder. Add the fine powder at the beginning and the coarse powder towards the end to get nice aroma and flavor. Hi, I tried your receipe, but unfortunately it turned into too spicy .... however the taste seems to be good. So far half Kg chicken , isn't 6 red chilli is too high?? oh I am very sorry about that, some chilies varies in spice level . My chilies has moderate spice level so 6 was fine for me.I think yours is too hot, Next time please reduce the amount of chilies. Happy Cooking. Hi Steffi, can you suggest me some vessel for preparing 3 lbs of chicken gravy?